Secure™ Continuous Hook and Loop is great choice for countless applications due to its simplicity, versatility and low-cost. Continuous Hook and Loop is an ideal and cost effective solution for securing, organizing and identifying groups of cables. It can also be used for new building construction, network installations, home theaters, in the office or any bundling project. A roll kept close makes for quick and easy cable management in addition provides for easy, painless changes in the future. 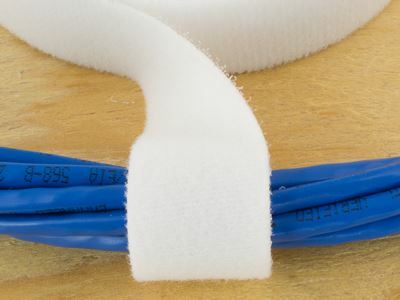 Reduce waste by cutting to the exact length needed and avoid the over tightening of cable bundles that is all too common with nylon cable ties. A wide selection of colors ensures trouble-free color coding and quick identification. 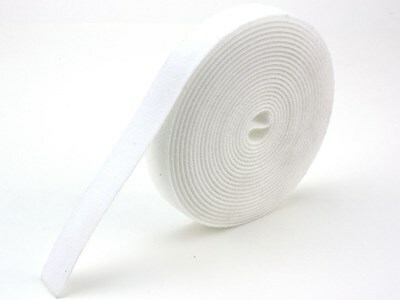 Our Hook and Loop is available in continuous rolls of 5, 10 or 25 yards. 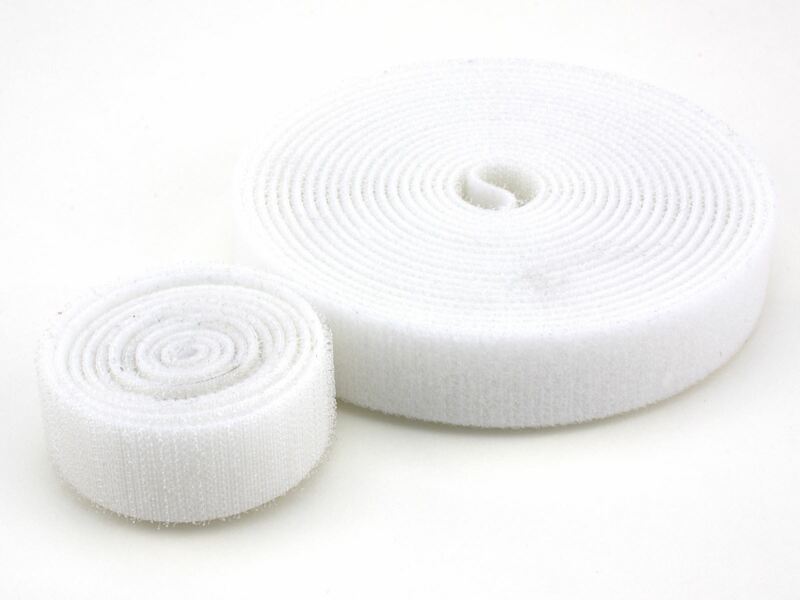 All Secure™ Hook and Loop Tie Wraps contain superior colorfast which can withstand rubbing, sweat, washing and water. Our 1 inch Continuous Hook and Loop Tie Wraps have a minimum shear strength of 51.7 lbs. while having a minimum peel strength of 4 lbs.